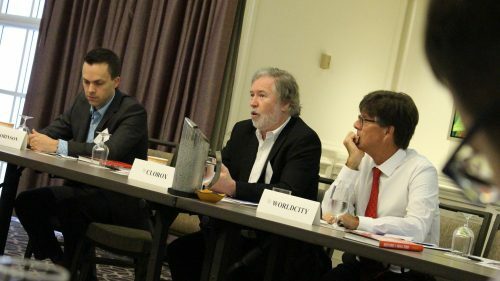 Gross vs. Net: refocusing on the top line - WorldCity, Inc.
Clorox Sr VP for the International Division Michael Costello (center) speaks at CEO Club. Click to view the Facebook Photo Album from the event. How many of these brands did you know are owned by Clorox? 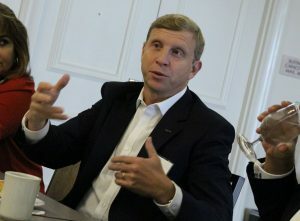 It’s that kind of brand strength that has helped The Clorox Company post four percent growth over the past four years, but as Clorox’s Senior Vice President for the International Division Michael Costello told the CEO Club, his company’s strategies have played a big part in that as well. In many instances, more spending, not less, led to increased profits. A focus on the top line impacted the bottom line in a positive way. Costello noted this company-wide initiative in 2010 after the fallout from the world economic crisis in 2008, a strategy that, in part, focused on driving return on investment in marketing. That meant investing into digital marketing. 45 percent of Clorox’s marketing spending is in digital right now, Costello said. “That was my question. There are companies like Proctor and Gamble that say they want to stop their digital marketing efforts for a while to see if it works or not,” said Ismael El-Qudsi, CEO at Internet Republica and SocialPubli.com. Aon’s Chief Commercial Officer for Latin America Alejandro Marmorek asked Costello what types of disruptors Clorox is facing. That means the larger companies must adapt to this…or else. 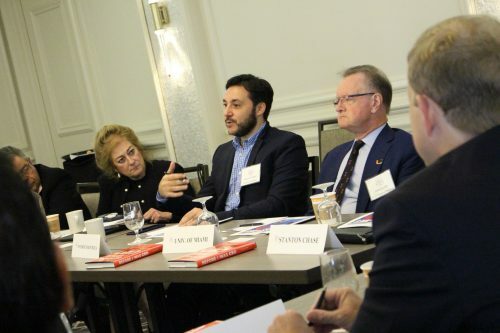 If you’re not connecting to your consumers in a way that they view the value is there, Costello said, then you’re making yourself vulnerable to disruptors. How Do You Inject a Sense of Purpose into the Employees? 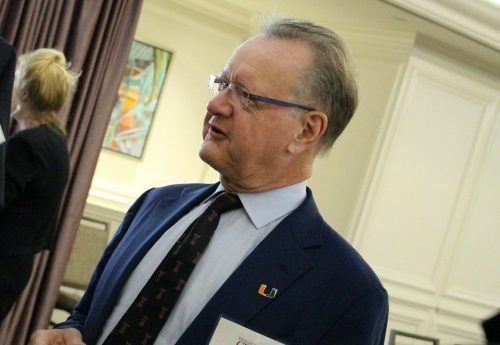 This was the question from the University of Miami’s Dean of the School of Business Administration, John Quelch. “You’ve heard the quote, ‘There’s no such thing as low interest categories, only low interest marketers’,” said Costello. “Yes, indeed,” Dean Quelch replied. Costello offered one example that will hit home with those living in South Florida and parts of Latin America. Costello said that is because, as a company, this is how it views its purpose. C.H. Robinson Worldwide General Manager Jim Mancini wondered how Clorox incorporated innovation into a company-wide effort to strike the balance between gross versus net and spending versus profits. One example: The Clorox Company used new plastics technology to make Glad trash bags cheaper but the material was stronger than the old trash bags. The consumer doesn’t know it actually cost less to make the new trash bags, but because there was a benefit of a stronger trash bag, a higher price point was acceptable.